We have teamed up with other Brooklyn-based restaurants and food service companies to raise money for Northeast Brooklyn Housing Development Corporation, a housing & social change organization based in Bed Stuy, Brooklyn. We recognize that we are well positioned to work with those who care about and can afford quality food to channel resources towards good food projects led by of and for those who cannot. 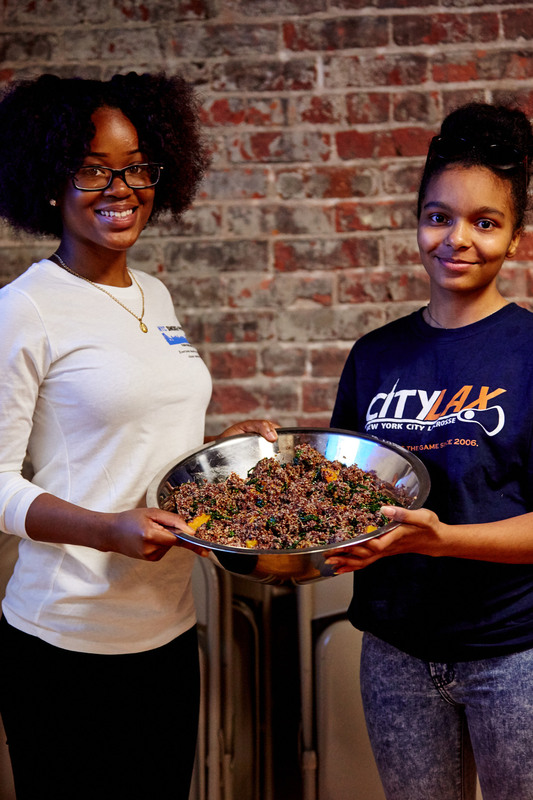 With this program, Harvest & Revel aims to support food justice and food access initiatives, with a holistic approach to bettering the food system in Brooklyn for everyone. 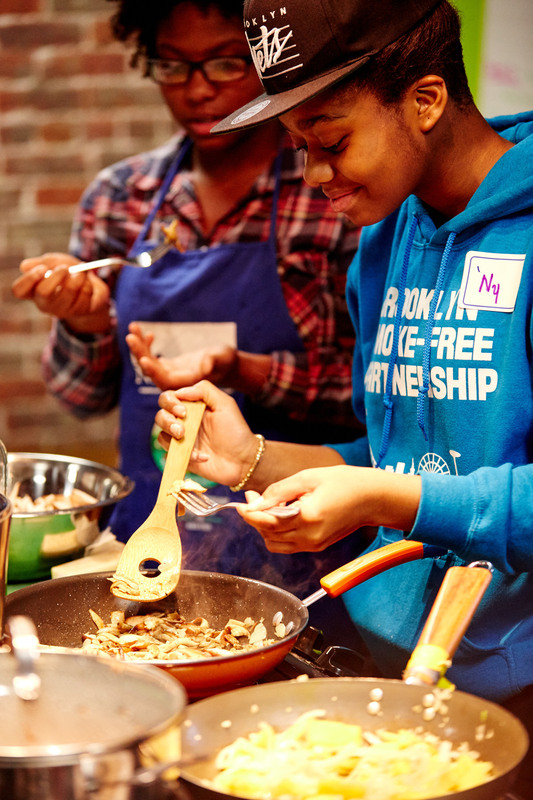 Growing Youth Power (the NEBHDCo project we’ll be supporting) prepares teenagers to live healthful lives and to take action for food system change by training and employing teens in what is often their first experience working. They work with young people by teaching them how to grow and harvest food for their food pantry, learn basic cooking skills, and develop their leadership skills. The youth that are part of NEBHDCo's "Growing Youth Power" program live and go to school in a neighborhood where 53% of children live under the poverty line, where public high schools have an abysmally low college readiness rate of 0-5%, and where 1 in 3 public high school students are overweight and obese. 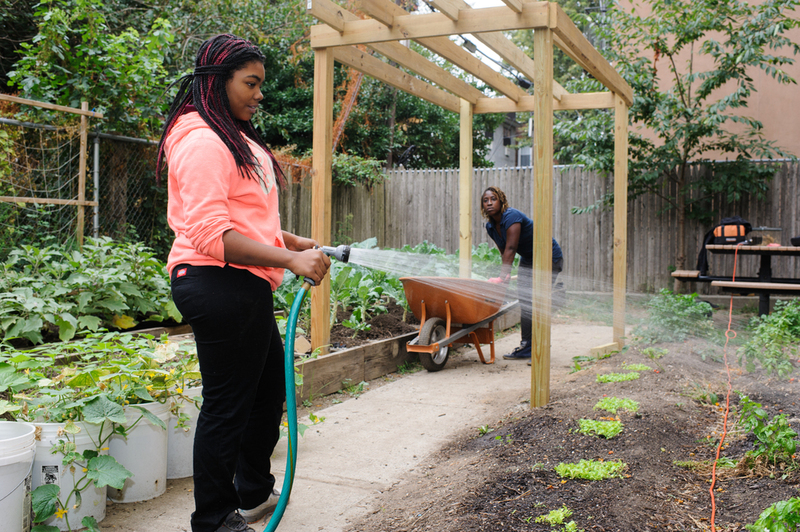 NEBHDCo's youth program not only combats the results of a failed system by teaching cooking and gardening skills, but also goes to the root- working to change the system by offering jobs and leadership training. When you decide to hire Harvest & Revel as your caterers for an event, you can choose to donate a lump sum or a percentage of your bill to the "Harvest Justice" project. All proceeds raised go directly to supporting the project. We are also open to collaborating on special events if you're interested in hosting an event to benefit the project. Feel free to reach out to us with your ideas for collaboration or if you're interested in making a donation to the "Harvest Justice" project.